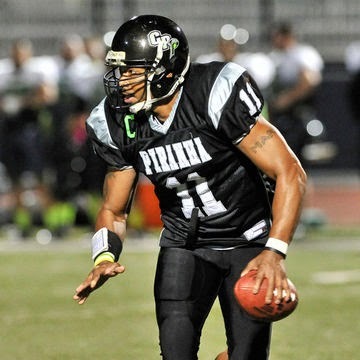 The Central Penn Piranha managed to defeat the Albany Metro Mallers at home on Saturday despite losing their starting quarterback, Mark Jarmon, early in the game due to a thumb injury. Central Penn improved to 4-0 on the season and first place in their division following their 51-32 victory. Now ranked second overall in the GDFL power rankings, the Piranha haven't missed a beat. When Jarmon injured his thumb last weekend, the Piranha turned to second-year quarterback Jeff Campbell and later subbed in Bo Thompson after the contest had seemingly been decided. After the game, Piranha co-owner and head coach Tom Laubach said all three QBs are capable of leading the team. "We have three tremendous quarterbacks, which is a good problem to have, but one that we’ll get worked out," Laubach said. Jarmon (6-1, 215 pounds) is a twelve-year veteran that has done more than enough to earn the starting gig, winning multiple minor league championships during his time with the club. Jarmon is not the most accurate of passers, but Laubach calls him a "winner," and Jarmon's four touchdowns to one interception ratio is nothing to scoff at. "We’ll have to wait until the swelling goes down and see where he’s at," Laubach said of Jarmon's thumb injury. If all goes well, the veteran will be ready to go in time for Saturday's showdown on the road against the New England Soul. This season, Jarmon has thrown for 282 yards and rushed for 27 more. Since 2011, Jarmon has thrown for 4,382 yards and 69 scores. Campbell (6-4, 225 pounds) is entering his second year with the team and has gotten the second-most snaps at QB behind Jarmon this season. Campbell struggled during garbage time play against the Lancaster Lighting a week ago but stepped up for Central Penn when it mattered on Saturday. "He had a tough game last week with a couple of interceptions, but we fixed what we saw on the film—how he played in the pocket. When he gets outside of the pocket and tries to make plays, he gets in trouble. So we worked on that and you saw today that he had worked on his fundamentals and stayed in the pocket. He got better," Laubach explained. Against the Mallers, Campbell went 7-of-11 for 121 yards and a score. If Jarmon is unable to start in New England, expect Campbell to get the nod. Thompson (6-0, 210 pounds) is the team's third-string quarterback but is talented enough to be a starter on almost any other team. 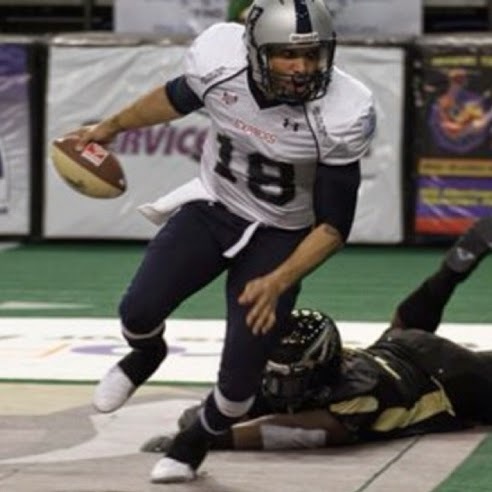 Before joining the Piranha, Thompson played indoor football with the Reading Express and the Lehigh Valley Steelhawks. Though he has been given just a handful of snaps this season, Thompson has already thrown for 138 yards and three touchdowns while adding 25 more yards on the ground. He is athletic and accurate, completing 62.5 percent of his passes this summer. Thompson has starter potential, but he'll remain a situational QB as long as Jarmon and Campbell are with the team. For more Piranha coverage, visit the team's official website. Photos provided courtesy of Samuel Getty and Krystal Heath.